[LAPSE... brain dead]: Dinosaur print? 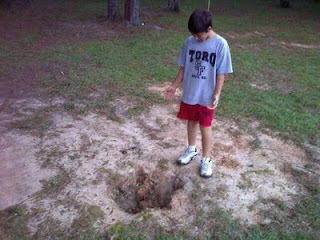 This giant claw print was found in our backyard. Dinosaur print? I had Alex pose next to it for scale. I know that I've seen him recently but oh my goodness he's gotten so big!